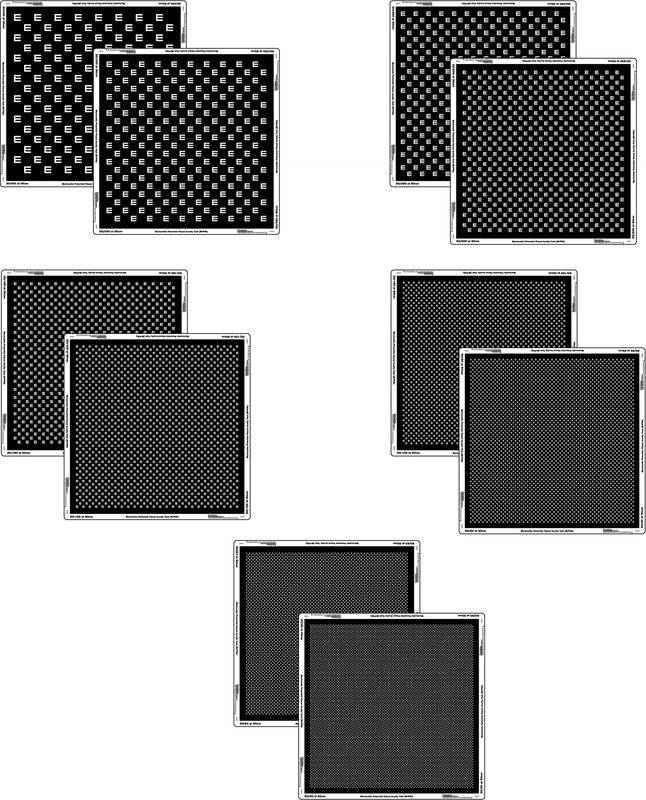 Often times traditional vision charts only measure general parts of normal vision, such as acuity and contrast. However, many times everyday life scenarios place these two aspects in unique situations. For example, acuity is very important in vision. 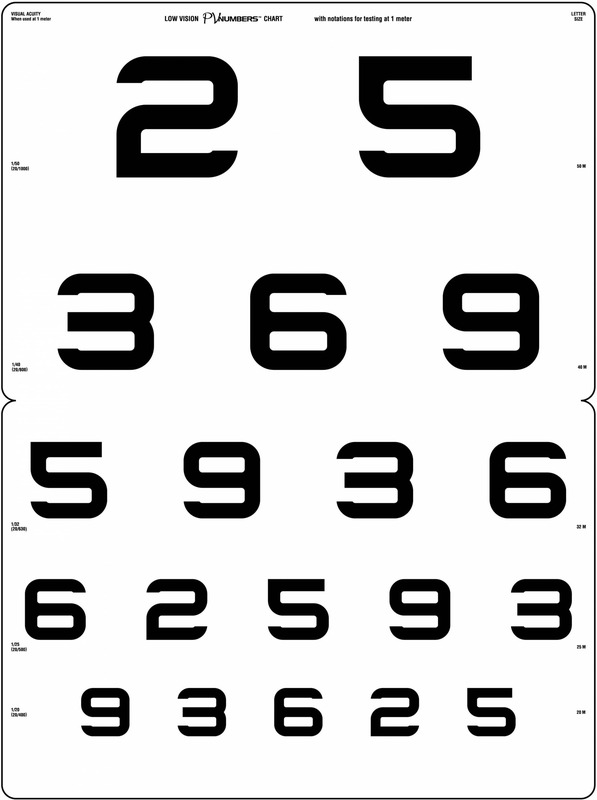 Testing acuity normally involves a standard eye test. However, when reading the newspaper, the eyes are challenged by small print, continuous text, and several close contact lines. This basic living situation may cause problems for patients with scotomata and may not be detected on conventional acuity charts. 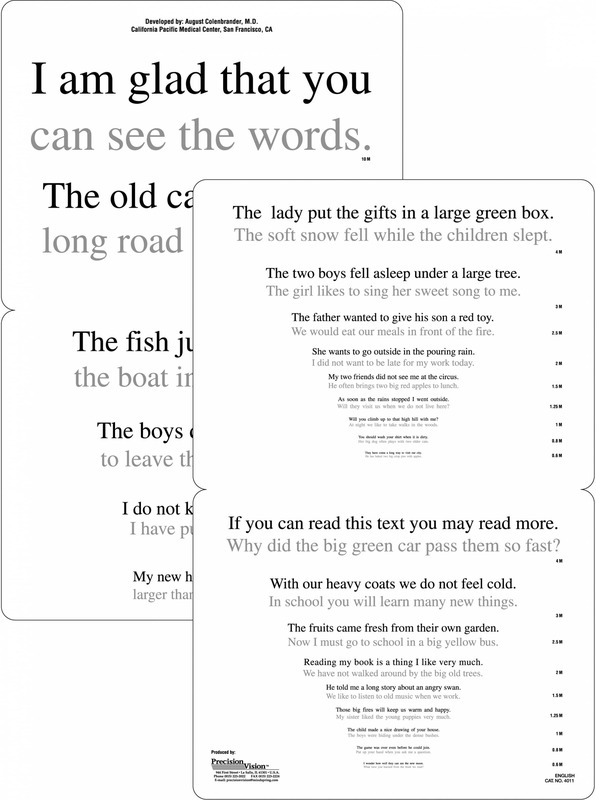 Continuous text charts give one more possibility during vision testing. 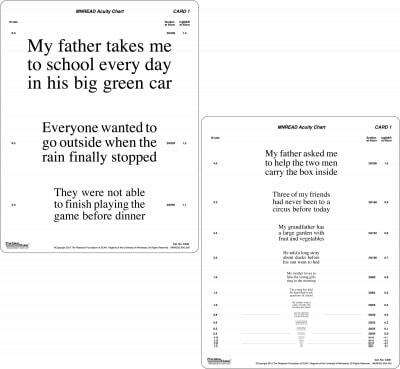 The charts are used to assess how reading performance depends on print size. 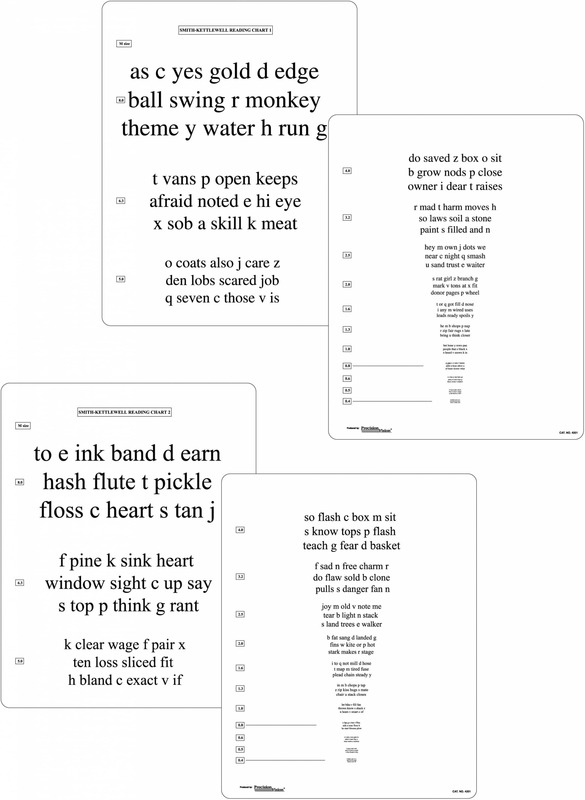 Three measures of reading performance are easily obtained: Reading acuity the smallest print that can just be read; Maximum reading speed the reading speed when performance is not limited by print size; and Critical print size the smallest print that supports the maximum reading speed. 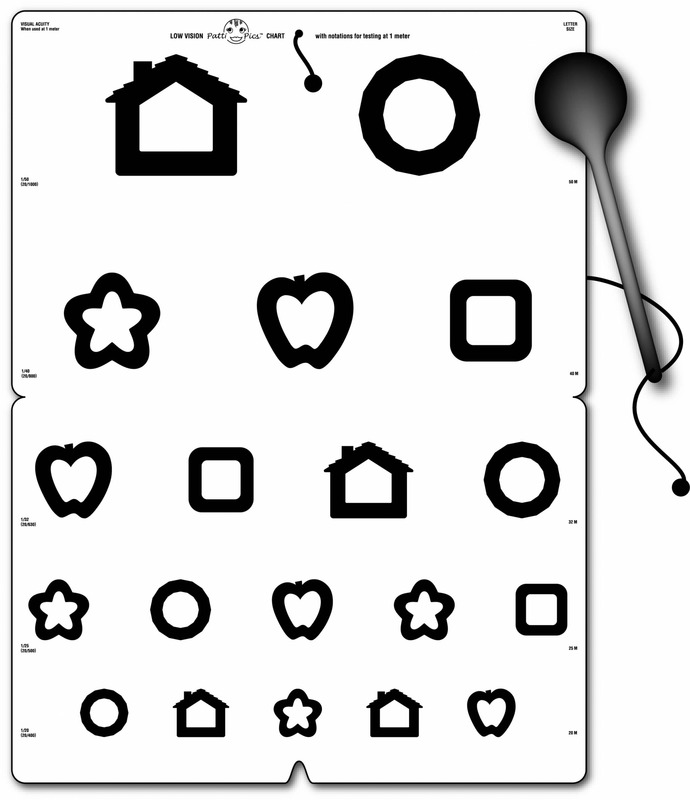 The MNREAD Acuity Charts have a wide range of applications in testing normal and low vision: prescribing optical corrections for reading, or other near tasks in the eye clinic, in low vision assessment, prescribing magnifiers or other reading aids, applications in pediatrics and special education, and research. 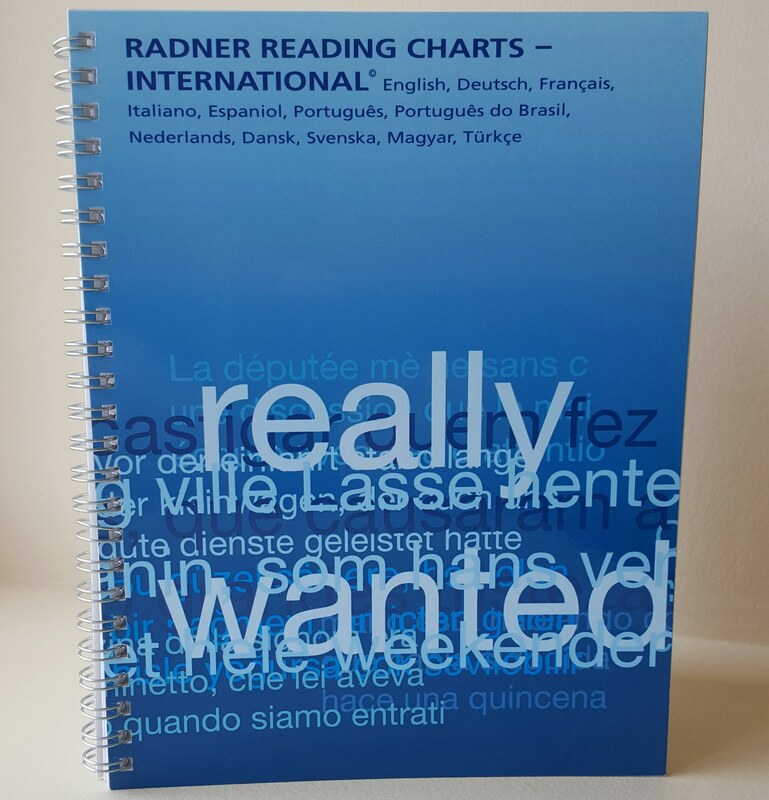 These charts are available in 5 English and 2 Spanish version. 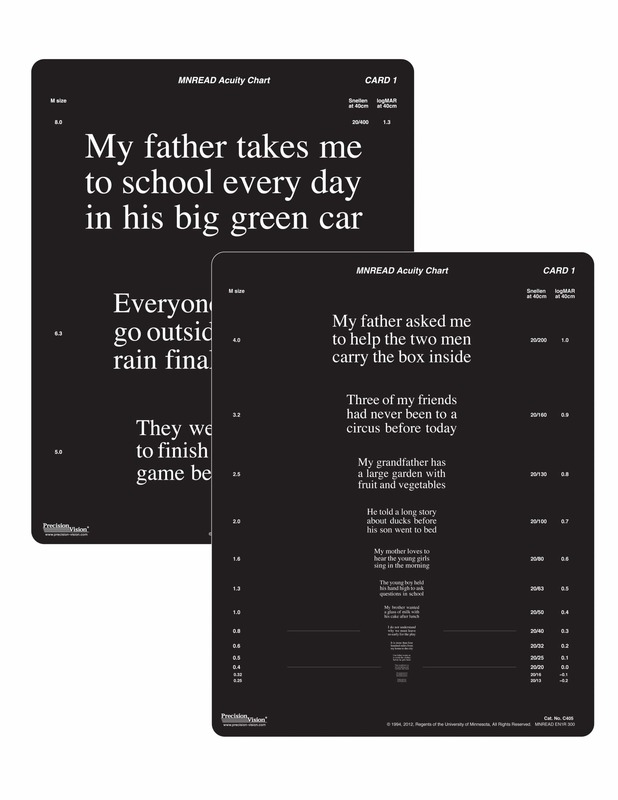 They are also available in normal contrast (black letters on white background) and reversed contrast (white letters on black background). 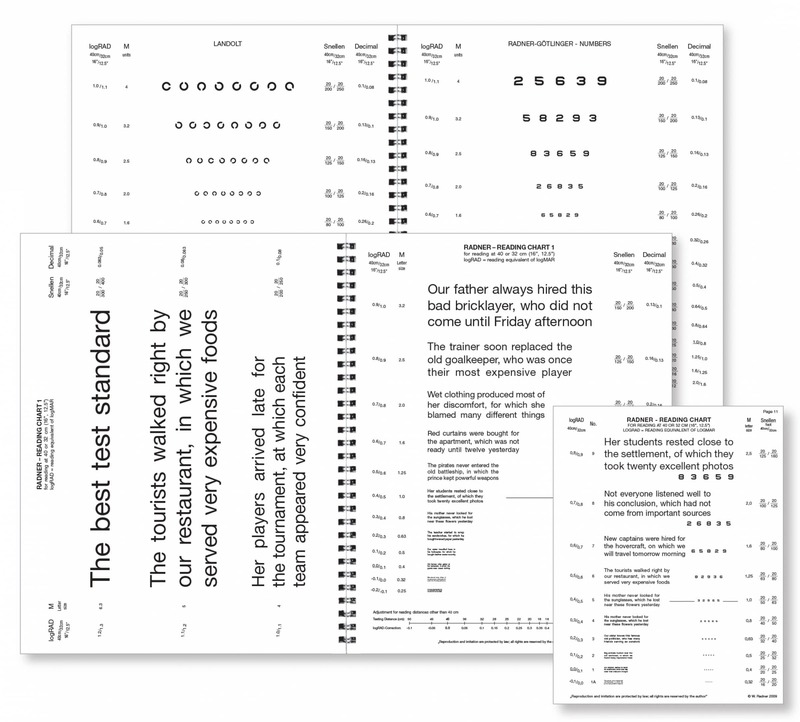 Included are preferred scoring procedures, table for conversion and instructions. The research was funded and approved by the NIH. 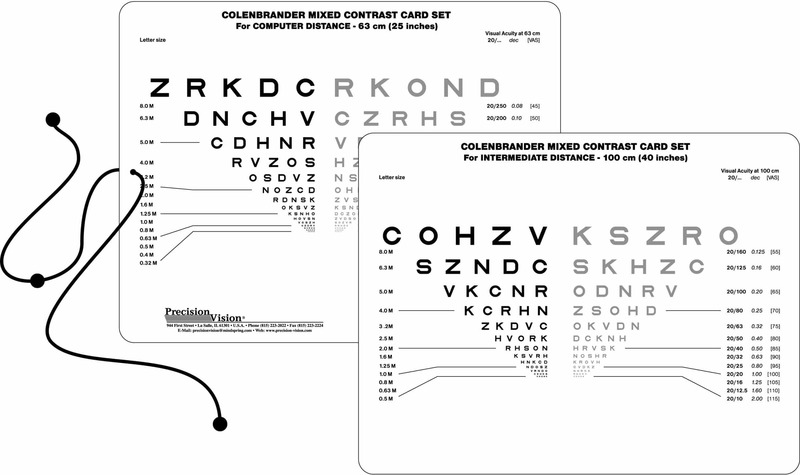 All English and Spanish versions of the MNREAD Acuity Charts are manufactured and distributed exclusively by Precision Vision Inc.